The Vodafone Flying Fijians rugby side expects a tough physical battle up front against Tonga in the Pacific Nations Cup on Saturday. 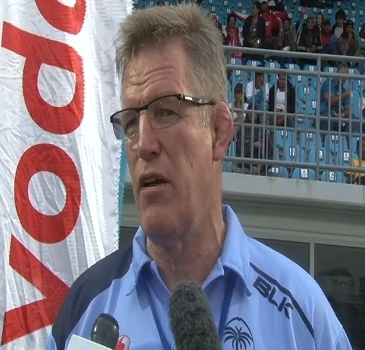 Fiji coach John McKee expects the same approach from Tonga in Suva but says his side has enough tricks up their sleeves to counter the Ikale Tahi. McKee will announce his squad for the Tonga clash tomorrow, with Vereniki Goneva expected to replace the injured Akapusi Qera as captain. The Flying Fijians will take on Tonga at 3pm on Saturday at the ANZ Stadium and you can catch a live commentary on BULA FM with the voice of rugby, Graham Eden.